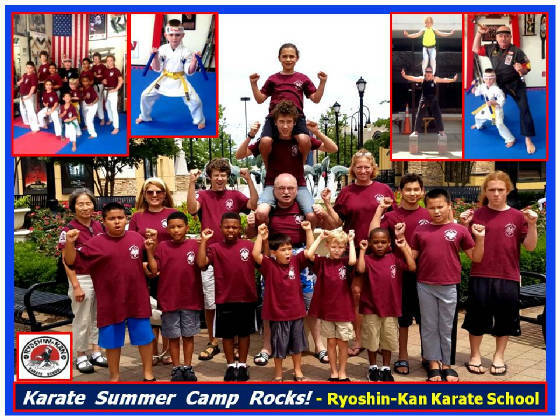 The Ryoshin-Kan Karate School conducts several camps through out the year. 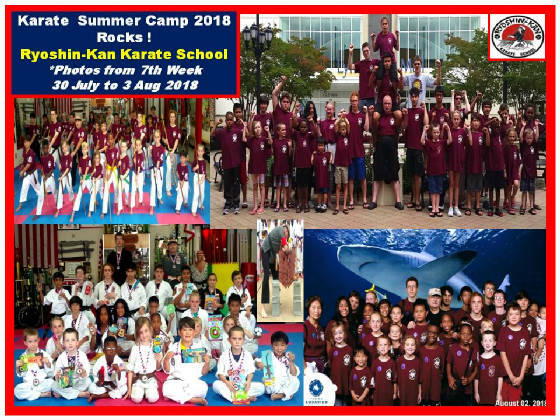 The most popular are the SPRING BREAK KARATE CAMP program (April), KARATE SUMMER CAMP program (June to August), BUSHIDO CAMP (October), FALL SEASON KARATE CAMP (November)and the WINTER BREAK KARATE CAMP (December). 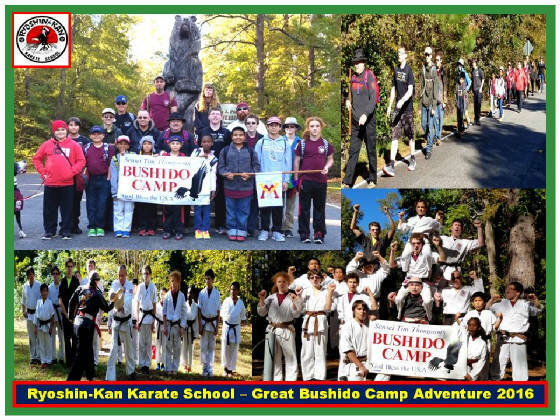 See below information for details on the Summer Karate Camp, Spring Break Camp, Bushido Camp, Fall Season Camp and the Winter Break Camp. 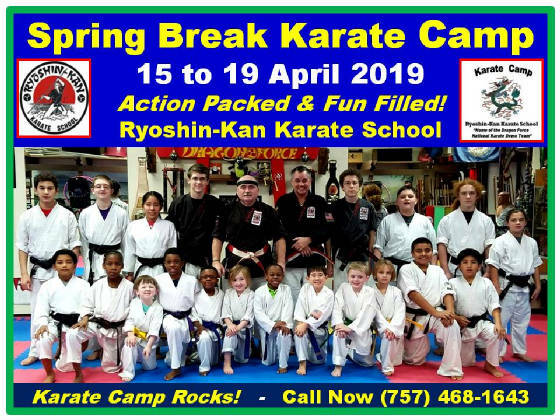 The Spring Break Karate Camp at the Ryoshin-Kan Karate School will be conducted 15 to 19 April 2019; from 9 AM to 5pm. (plus early drop off 7am & late pickup 7pm). Students can be dropped off earlier and they can stay for the evening regular classes. See Sensei for Details. We will work with you on your schedule. The Ryoshin-Kan Spring Break Day Camp will include Martial Arts Training, Games, Contest, Field Trip and fun….. 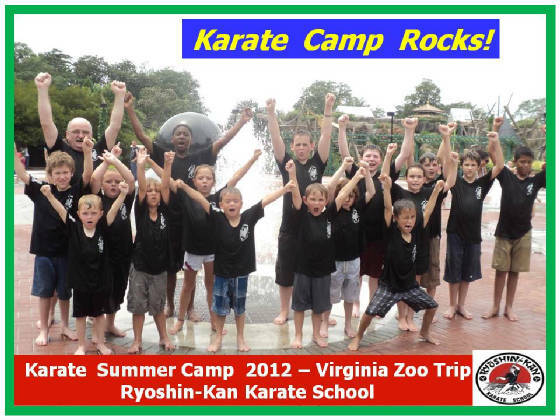 This Karate Camp will be conducted at the Ryoshin-Kan Karate School in Virginia Beach, Virginia. Anyone can attend so bring a friend and participate. COST: $150. Register by 8 April 2019 to get a Discount. Plus Discounts for two or more from the same Family. 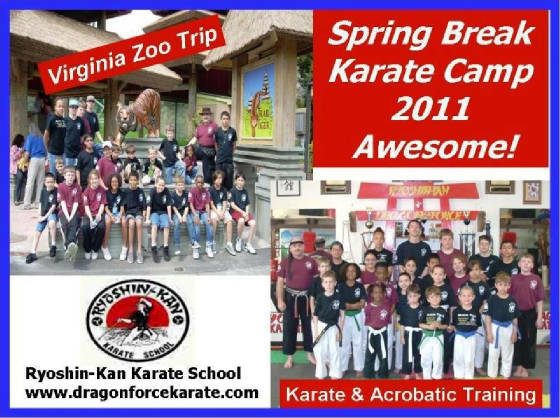 If you would like to participate in the Spring Break Camp or any Camp, Class or Seminar send us an e-mail for more information & Registration Form. WHEN: June to August 2019, From 9:00 AM to 5:00 PM - Contact us for special Early drop off (7AM) and Late pick up (7PM)times. You can do just one week, several weeks etc… or the whole program. We will work with you. What's the Cost? Cost is only $150 per child per week! Special discounts for Multiple weeks, and / or 2 or more from the same family. Plus Military, Teacher and other special discounts are available. Contact us (757) 468-1643 or e-mail us to get info on Discounts or other info. Get your Early Bird Discount: Sign up by 10 June 2019. After that date you can still get a Discount. Call or e-mail us for more info. 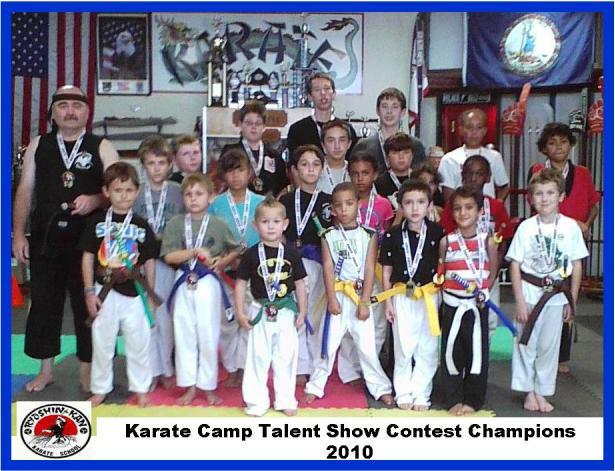 Each new student receives a karate belt. 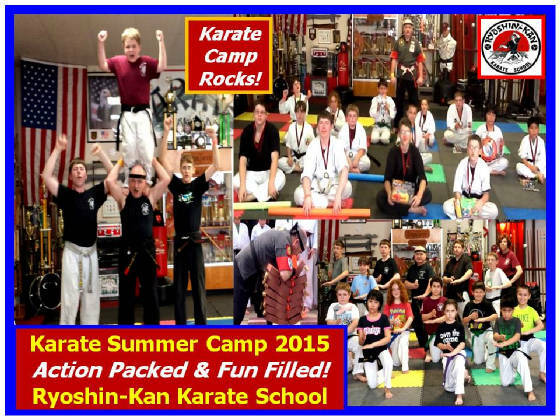 NOTE: Karate Camp participants must wear a Ghi (uniform) during training. We can provide one for a small donation. Contact us by the below e-mail or call(757) 468-1643. We will work with you. 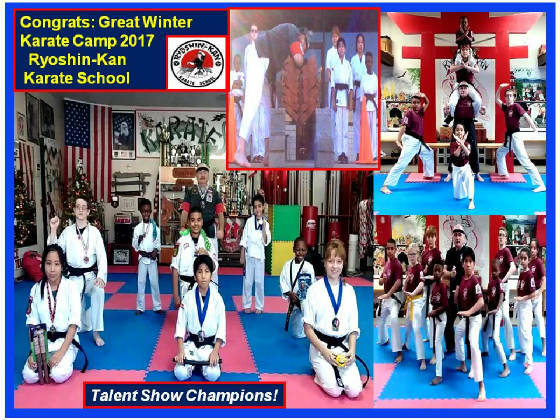 Congrats: Great Winter Karate Camp! 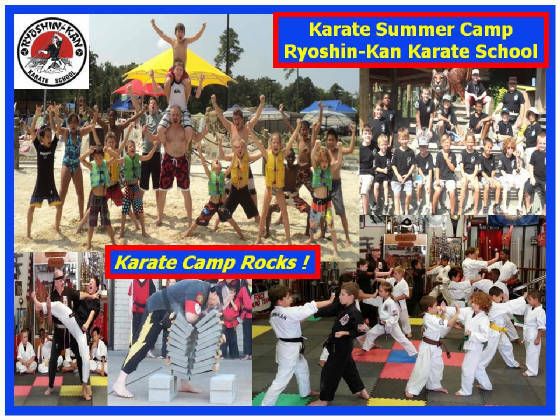 The Winter Karate Camp at the Ryoshin-Kan Karate School will be conducted 26 to 29 December 2018 from 9 AM to 5pm. (plus early drop off 7am & late pickup 7pm). 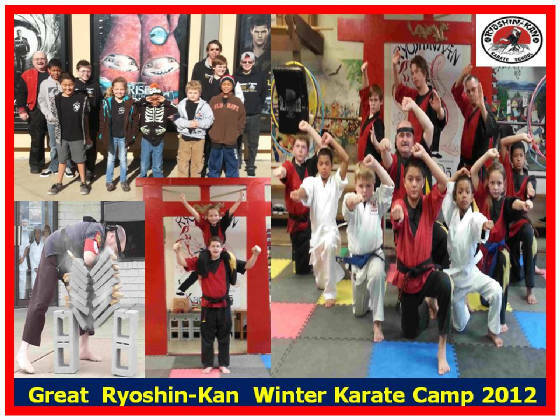 The Ryoshin-Kan Winter Karate Day Camp will include Martial Arts Training, Games, Movie Trips, Contest, Field Trip and fun…..
Any Youth can attend so bring a friend and participate. 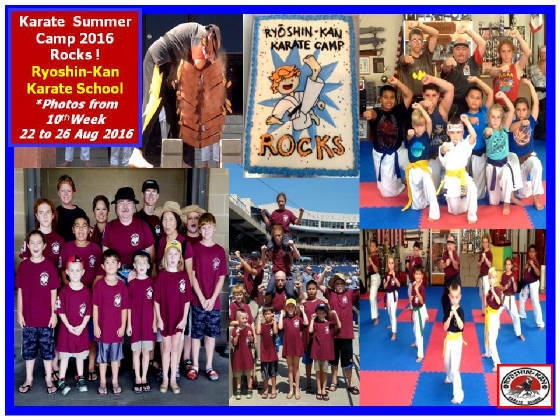 If you would like to participate in the Winter Karate Day Camp or any Camp, Class or Seminar send us an e-mail for more information. 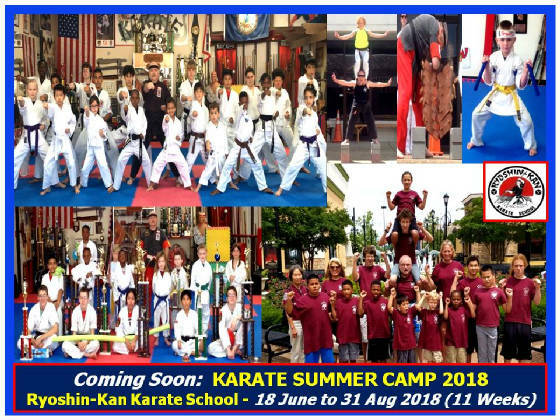 The Fall Season Karate Camp at the Ryoshin-Kan Karate School will be conducted November 2018 from 9 AM to 5pm. (plus early drop off 7am & late pickup 7pm). 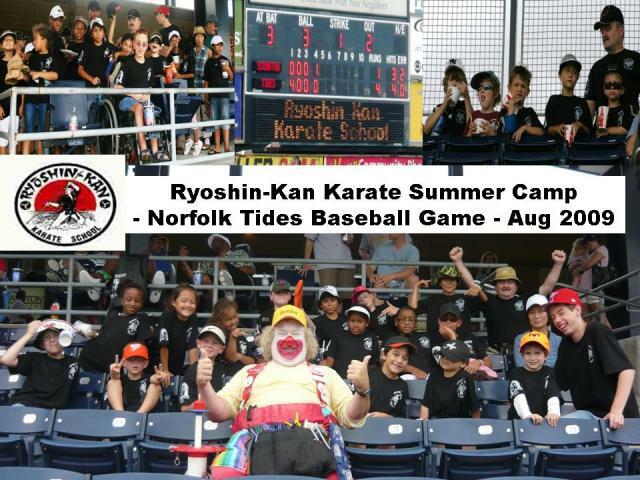 The Ryoshin-Kan Fall Season Camp will include Martial Arts Training, Games, Contest, Field Trip and fun….. 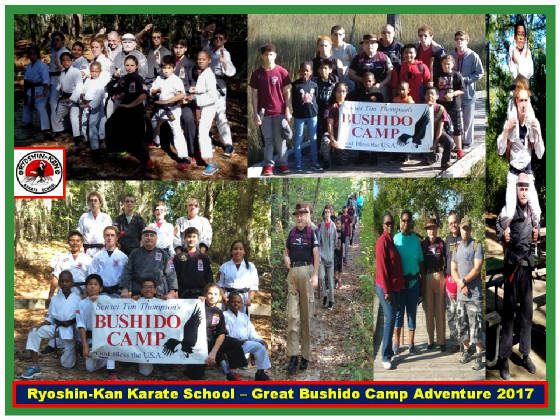 If you would like to participate in the Fall Season Camp or any Camp, Class or Seminar send us an e-mail for more information. 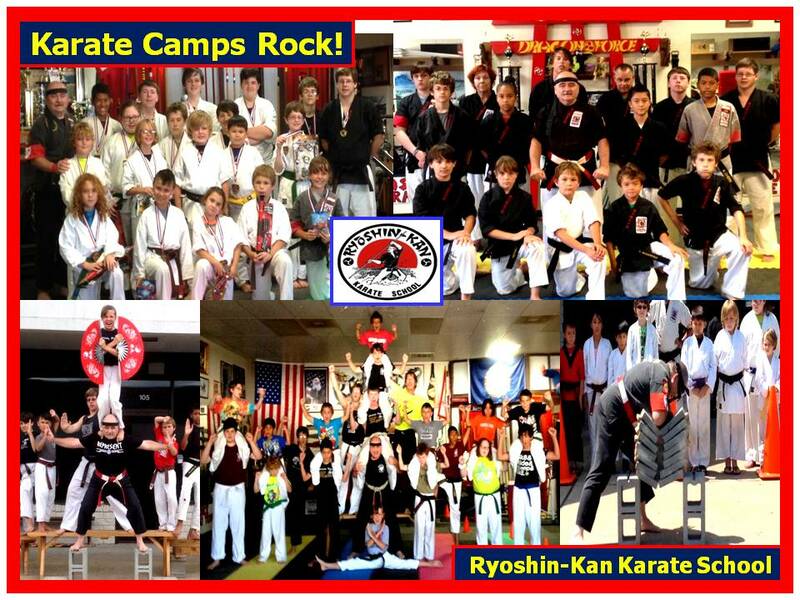 Spring Break Karate Camp Rocks! 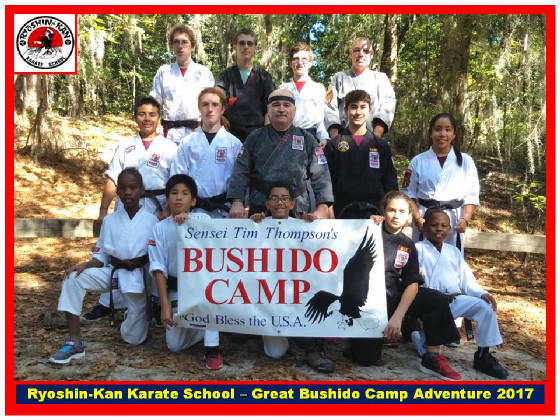 Shihan (Master) Tim Thompson is the creator and founder of the annual Bushido Camp Adventure conducted in the Shenandoah National Park in the Blue Ridge Mountains of Virginia, or Dismal Swamp Canal Trail Park, First Landing State Park or any Local, State & National Park. 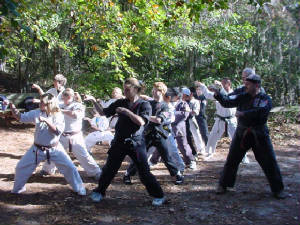 The Camp consist of Karate Training, Hiking, Waterfalls training etc... The Waterfalls that are used the most is Dark Hollow Falls. 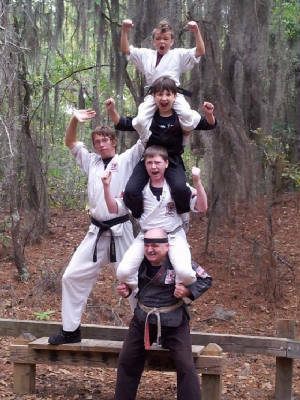 The Camp has also been conducted in the Smokey Mountains of North Carolina and at several other National & State Parks in Virginia and North Carolina. He has been conducting this camp since 1985. 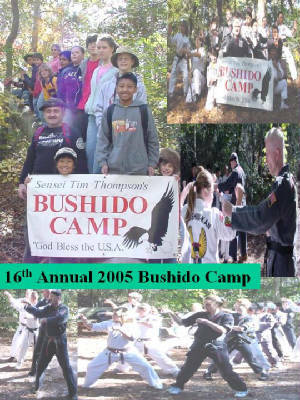 The camp received it's official name in 1990. 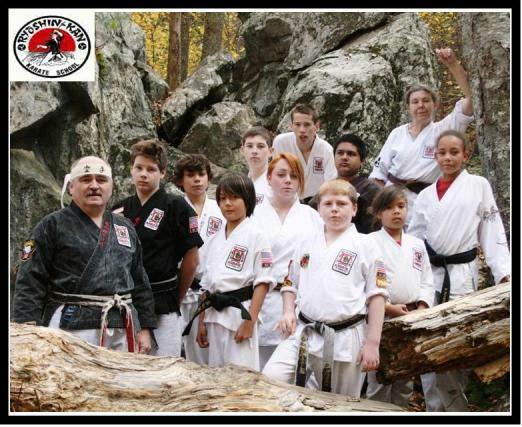 The Camp is conducted in the October / November timeframe each year and it includes Martial Arts training, Leadership Discussion, Leadership Training, Campfire discussion, Waterfall training, Rappelling, and Hiking. 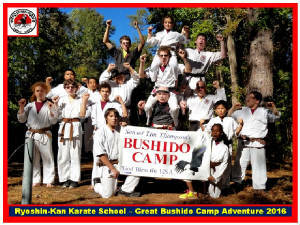 The Camp brings out the true Bushido spirit that is in all of us. For more information contact us via e-mail or call (757) 468-1643. 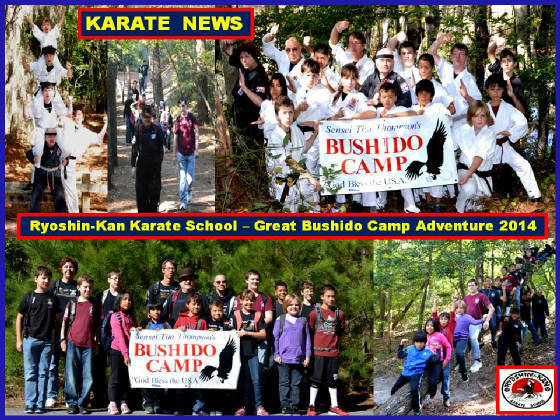 Click Here to Check out a short Video of our 2011 Mountain Bushido Karate Camp 2011. 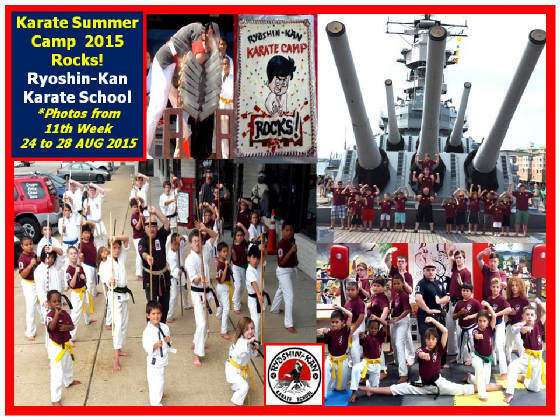 Karate Camps Rock at Ryoshin-Kan Karate School! 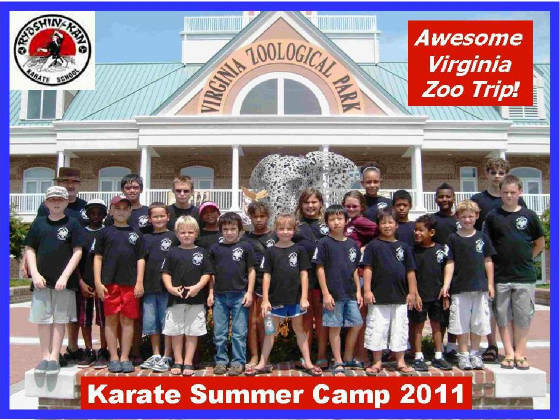 Best Karate Camps in Virginia Beach, Virginia! 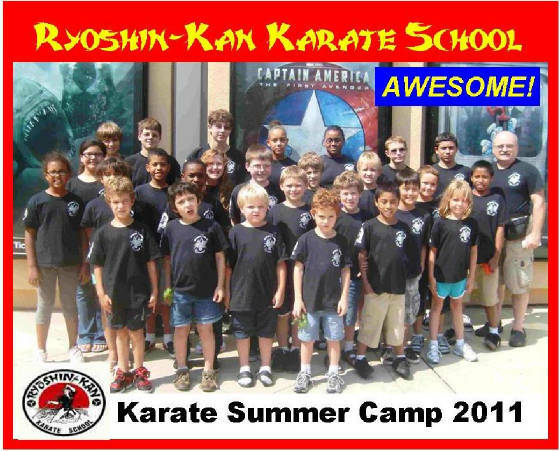 Karate Camp 2013 was Awesome! 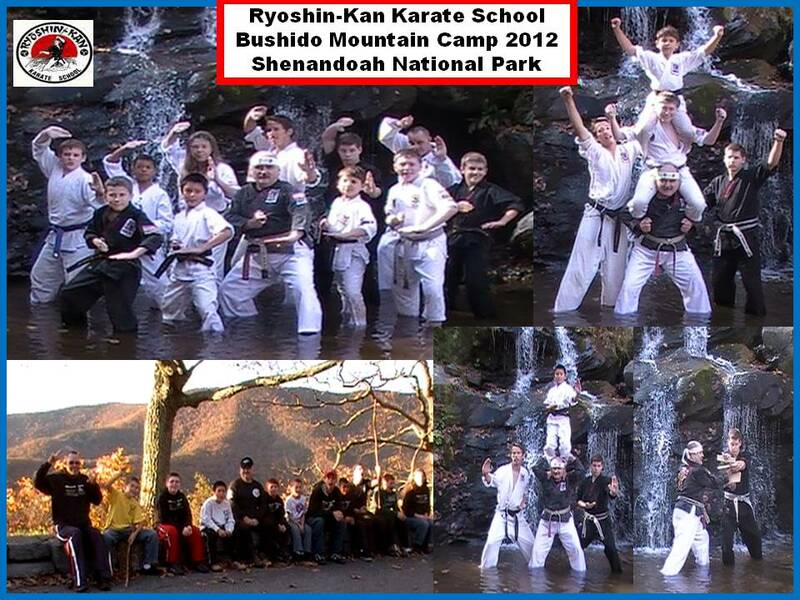 Click on photo to watch a short Video of Ryoshin-Kan Mountain Bushido Camp 2012. 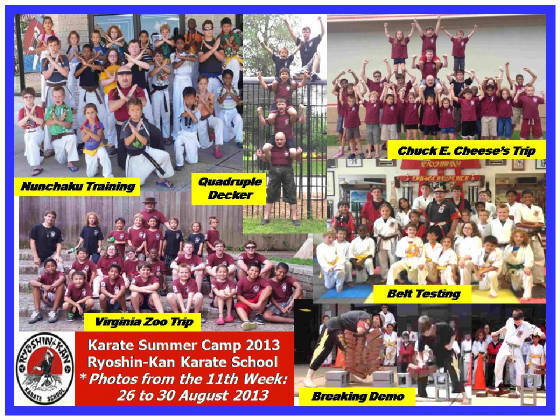 Well Done to all Summer Camp 2011 Participants! 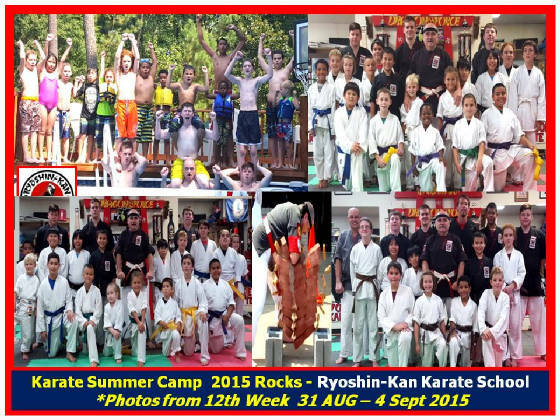 Ryoshin-Kan Karate Camps are Awesome!